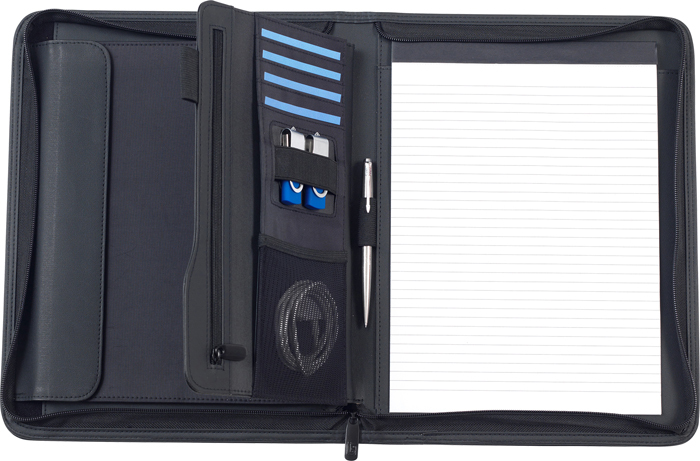 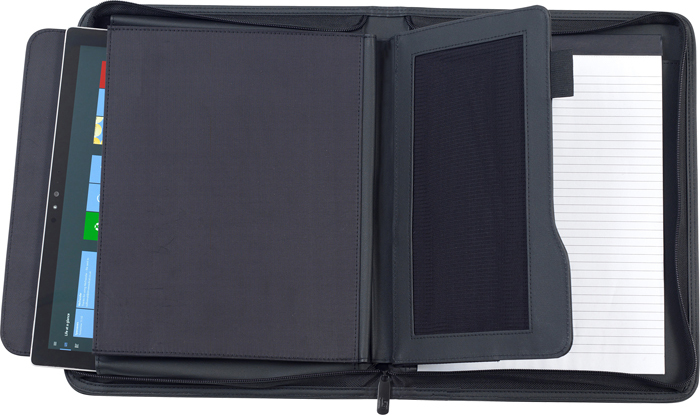 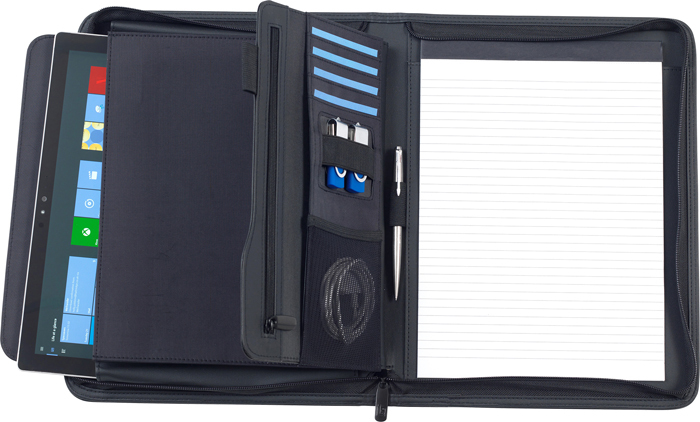 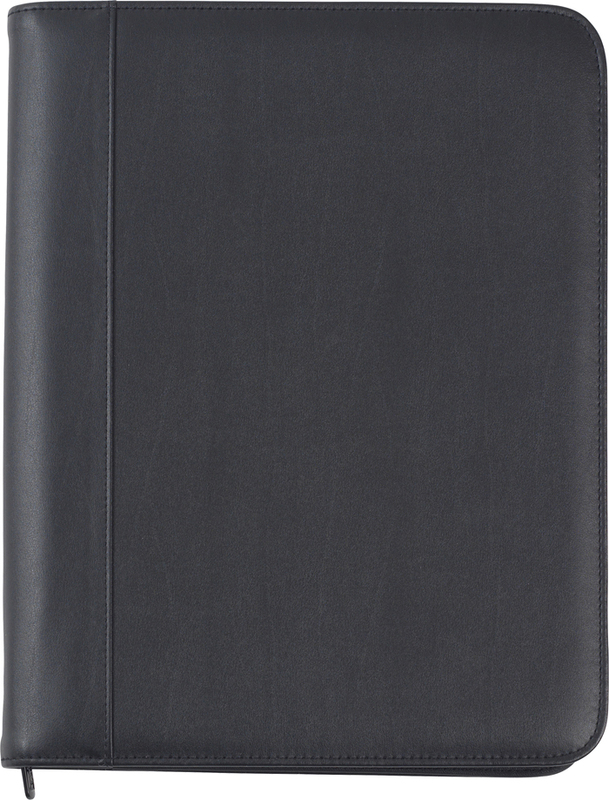 Description: Oversized Zipped A4 Executive folder made from REACH compliant PU. 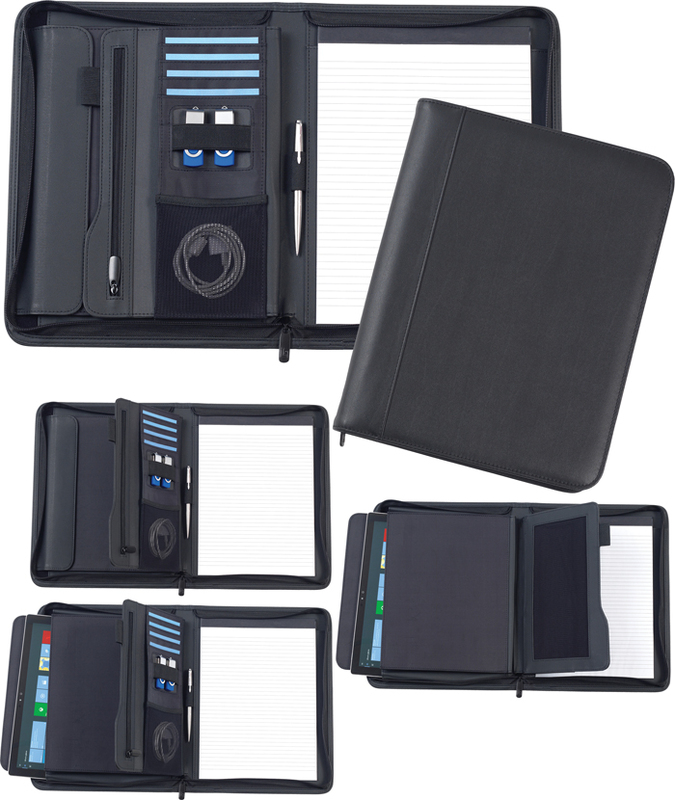 Item features an internal tablet PC sleeve capable of accommodating tablets and small laptops with dimensions up to 28 cm wide x 22cm high x 2cm. 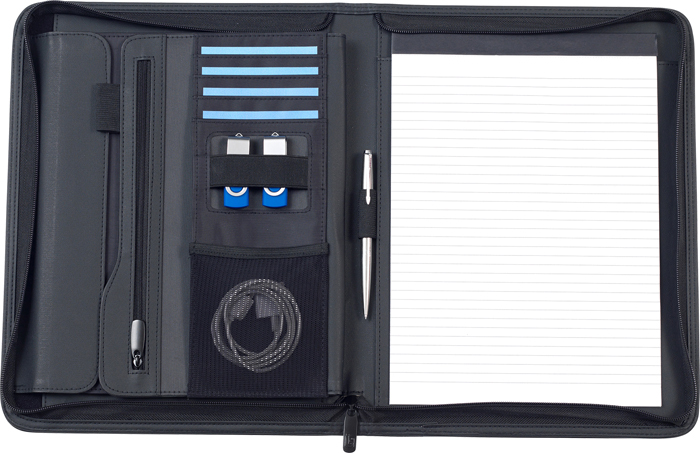 Also includes a zipped double sided organiser for cables, cards, USB loops, a pen holder and a 20 page recycled lined paper notepad.